Carhartt shirts are as durable and rugged as our signature workwear. Our t-shirts feature premium fabrics, double-needle stitching, work functional pockets and side seam construction to minimize twisting. 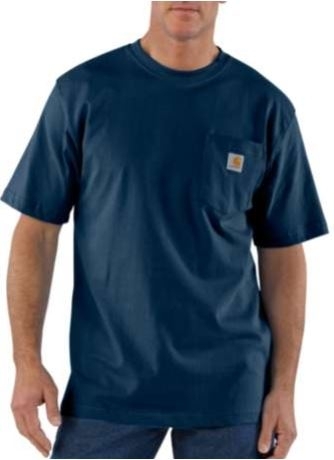 Some styles are available in our Work-Dry® fabric, which includes anti-odor and moisture management properties. Select styles in our button-down shirts feature cell phone and pencil pockets and several styles are made with triple-needle stitching. All of our plaids are created in-house and are exclusive to Carhartt.